Simple stylish switched double curved glass wall washer. Flush wall mount with a wavy double curved opaque glass front, chrome finish retaining nuts and a pull cord on / off switch. 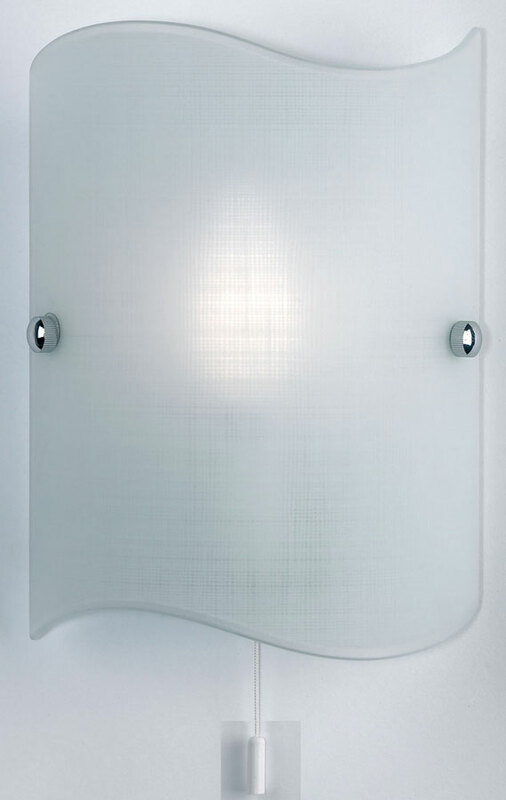 A stylish double curved wall washer that will give a soft warm ambient light.